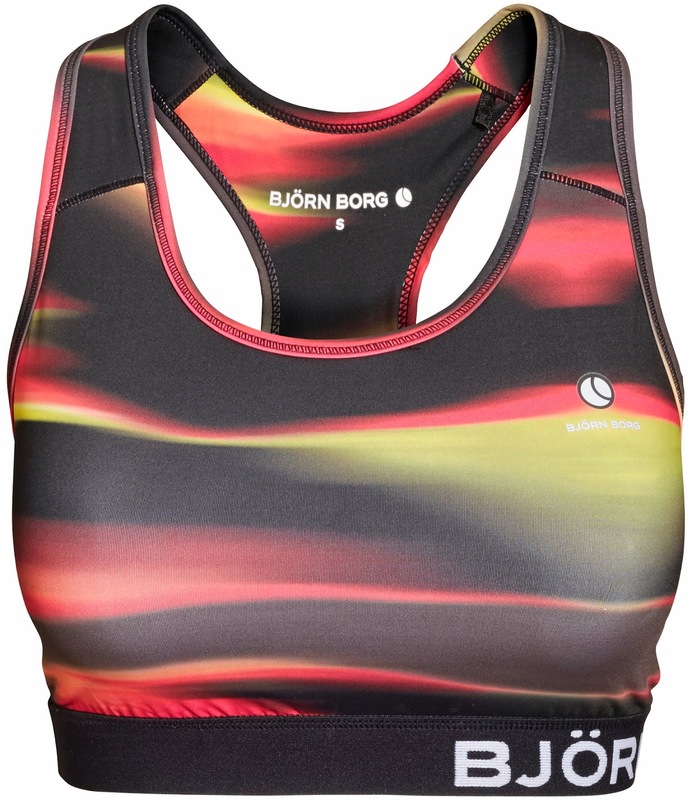 Swedish brand Bjorn Borg, founded by the famous tennis player focuses on very colourful underwear for men and women, swimwear and active wear. All the lines are made with high quality materials,attention to details and a palette of colours that put a rainbow to shame. This top is perfect for exercising, running, yoga and all sporting activities in which you need some support and you want to be stylish as well. This new print from the Spring Summer Collection is amazing with neon colours. This lightweight and breathable top matches leggings and shorts. 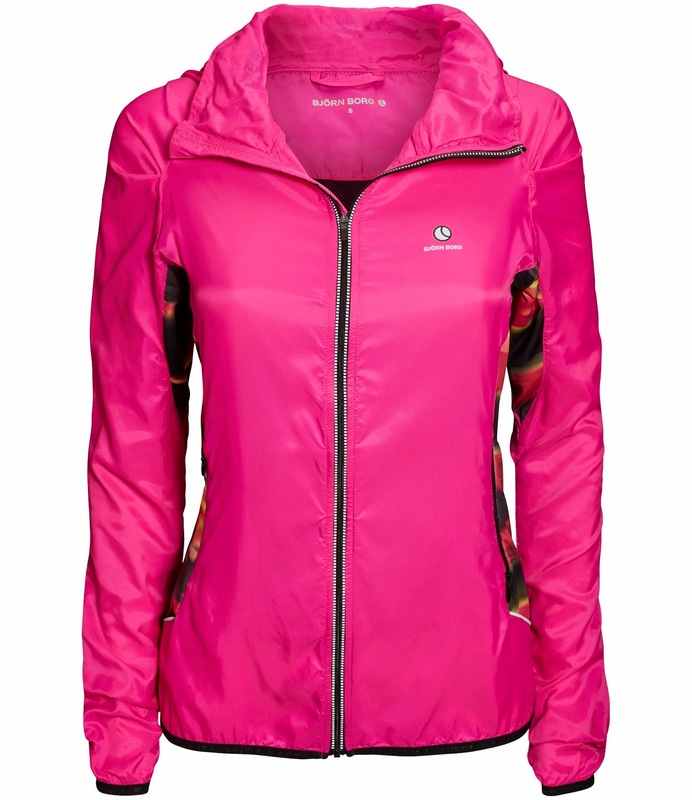 This jacket is gorgeous, the bright pink colour and the printed inserts make it for something I would wear even when not exercising. Being lightweight it is perfect folded in a bag and worn when the temperature drops in the evening. Available pink and black with green and blue printed inserts. 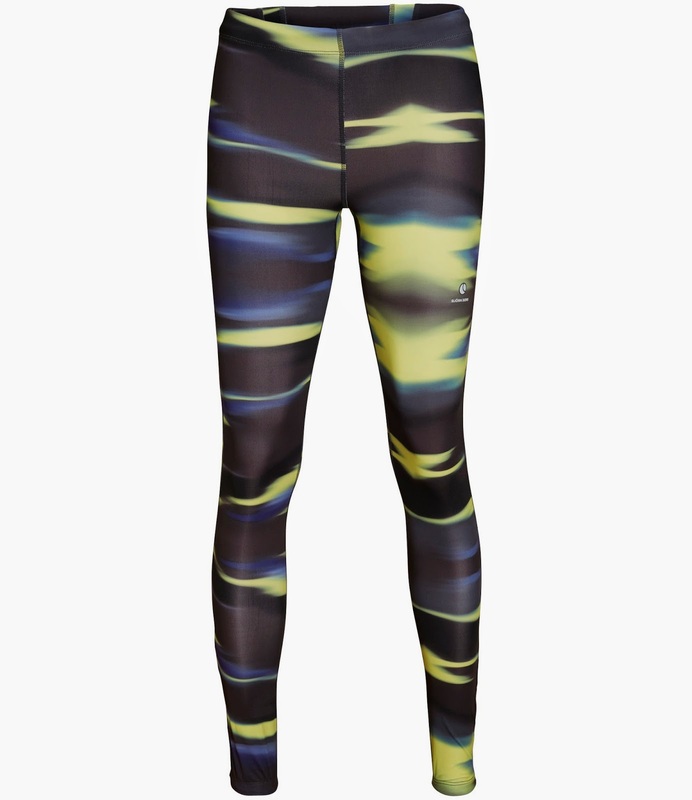 These pair of leggings have got a print inspired by the elements. With its green and blue palette this is probably inspired by Water while the other above with its warm colours is a Fire print. These leggings are going to keep you dry while exercising. The Tatum dress will brighten up any centre court and obviously when the brand is the namesake of one of the biggest tennis champions in the world, Bjorn Borg, a tennis dress is a staple in every season's collection. This candy floss little number will be gorgeous on the green grass field at Wimbledon. If the centre court is red this dress will stand out and you will be seen even from afar. The password at Bjorn Borg is 2colour" the brighter the better and I couldn't agree more. Check online at www.bjornborg.com to browse its extensive range, the underwear is a favourite of mine and it will be featured next on this blog.